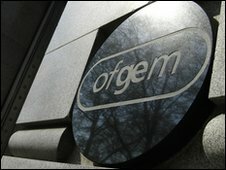 The power regulator Ofgem is bringing in a new scheme designed to show if a supplier is making real cuts in greenhouse gas emissions. Its "green energy certified" label is designed to give users a real guide to who is doing most to source renewable power. The idea is to reassure householders and small businesses that paying for green energy is actually worth it. Energy companies are committed to using more renewable power. Before the introduction of this new labelling plan, a supplier could claim to be helping the environment, but in fact simply be meeting its existing promise to use renewable energy. Now, suppliers will have to demonstrate to an independent panel of experts that they are taking extra steps to cut their use of non-renewable power in order to merit the "green" label. The panel's chairwoman, Solitaire Townsend, said: "Only 2% of Britons currently buy green energy, but I hope that a trustworthy label will convince many more to go green." Keith Allott, head of climate change at WWF-UK, said: "For far too long, green tariffs have been a swamp of misleading and confusing claims - and have done little or nothing to drive forward new renewable energy schemes. "We hope that the new guidelines and certification scheme will be implemented robustly."